In the very diverse lines of business, very specific problems may occur that lead to a discussion about quite different ways of problem solving. For finding out to what extend an application of isotope analysis are a suitable solution option, we investigate problem details together with you to find the right solution option. New or modified developments of applications based on the isotope analytics may contribute to reach an optimization of current problems. 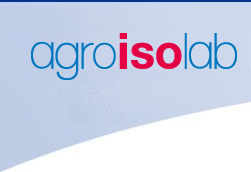 The research & development department at Agroisolab GmbH has successfully used new potentials of the isotope analytics already in the past for practical applications. We are working out an individual solution proposal for you!